On June 9, a small but very special record label based in Nottingham reaches its tenth birthday. Its name is Gringo Records, and if you are a patron of the Midland's smaller venues, or a visitor to recent ATP and Dot To Dot festivals, you may know its name. But just what do you know of its releases? The answer from the many: not very much. To remedy this, Drownedinsound.com sat down – to exchange e-mails, obviously – with Gringo founder Matt Newnham for the low-down on the label as it reaches a considerable landmark. So how did the label start? Gringo was started by five friends hopped up on the International Pop Underground – Che, Slampt!, K, Chemikal Underground, Lovetrain, Kill Rock Stars. Tom (Coogan) and I had been writing a fanzine called Damn You!. Jason (Graham) had his own publishing empire under the name of No Pictures. Three-fifths of the Gringo founders were in aspiring bands, and as we each had £150 burning a hole in our pockets, starting a label seemed like the natural thing to do. 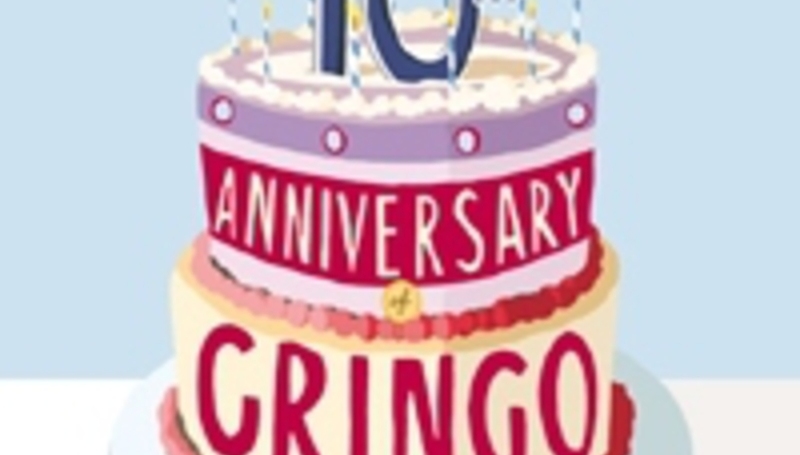 Gringo was consummated during early 1997 at several brainstorming sessions in salubrious Halstead, Essex. The Lando / Teebo split 7” was picked up from the pressing plant on June 9 that same year, and we drove all the way to Norwich to see Mogwai and Navigator by way of celebration. Ten years ago what did you intend to do, and do you think you have made good your intentions? I can only speak for myself, but I always liked the idea of having a community of bands on the label that would play together and support one another. I admire self-sufficiency in bands, but even more than that I admire doers who get off their arses and help their friends and peers. Almost all Gringo bands are involved in putting on gigs in their home towns. I wanted Gringo to document the British-based music that I love, but for some reason exists on the margins – licensing albums by US bands has always struck me as an easy cop out. I also wanted Gringo to be based outside of London – regional record labels are the most interesting! The ultimate aim was for curious ears to trust our taste and pick up a new release when they were unfamiliar with the band. Gringo has achieved a great deal but I am always disappointed that the bands don’t reach more people. I must do better! One day I’ll save up enough money to quit my job and dedicate more of my time… Just as long as it doesn’t being fun! In your ten years as a record label what would you say were your most important releases, and your personal favourites? I couldn’t possibly pick a favourite, but probably the most important release was our second one: Harameka Hi-Fi's ‘Munchin’. The first 7” we put out was pretty shoddily put together and the sound quality suffered from a ropey DAT transfer; the Hirameka 7” looked and sounded stupendous by comparison. Hearing Steve Lamacq and John Peel play tracks from it on Radio One was the most wide-eyed excited I have ever been! The kids bought the record, Hirameka played gigs, we made friends along the way and Gringo had a small amount of momentum. Looking back, are there any releases you wish you could have put out? No regrets! But it would have been nice to release records by Bob Tilton, Ligament, Mogwai, James Orr Complex, Trout, Charlottefield, I’m Being Good, Joeyfat, Cable and Pink Kross. And Unwound, obviously. And where do you stand now? Gringo is 10 years old on June 9, 2007. We are having a party in Nottingham at a big art gallery called The Art Organisation. Eleven Gringo bands, and band members past and present, are playing - Part Chimp, Lords, Bilge Pump, Sailors, Owen Tromans & The Elders, Souvaris, Reynolds, Hirameka Hi-Fi, Andy Clambake & The Resurrection Men, Designer Babies and Hey Colossus. It will be an amazing day, having most of my friends gathered in one place. At some point I’ll feel sad because some of my favourite people (The Unti Ama, Kill Youself, Soeza, Eska, Empire-Builder) won’t be around, and then I will get emotional and consider how much Gringo has enriched my life. What do you want to do in the future with Gringo? I want to make sure people hear the most recent Gringo release, the rather excellent A Hat album by Souvaris (released June 18). The most imminent Gringo release is a 7” by Sailors (rightful heirs to the Gang of Four legacy with a healthy dose of Monorchid snot). I want a Gringo band to give me a second album to release! Bilge Pump and Lords are getting pretty close, so my excitement is building! Hopefully Eska and Soeza will allow me to put out new records. I desperately want to put out another album by The Unit Ama. They are untouchable… I have long since given up trying to do justice to their spiritual qualities, just go and see them if you ever get the chance! I would like to embrace technology. A crazy UK scene DVD compilation would be nice. To find out more about Gringo Records visit their website, here. The 10th birthday bash, at Nottingham’s Art Organisation, is on June 9. Doors open at 2pm and the price is just £7 advance. Add date to your gig calendar here.